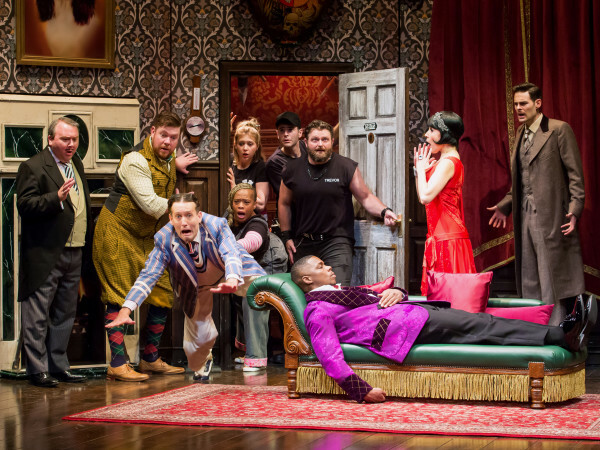 A revival of an old musical can succeed with audiences in numerous ways. It might win us over with the fun of once more seeing onstage a beloved story and songs we know by heart. Or it might have something relevant or new to bring to the world years or even decades after its original premiere. 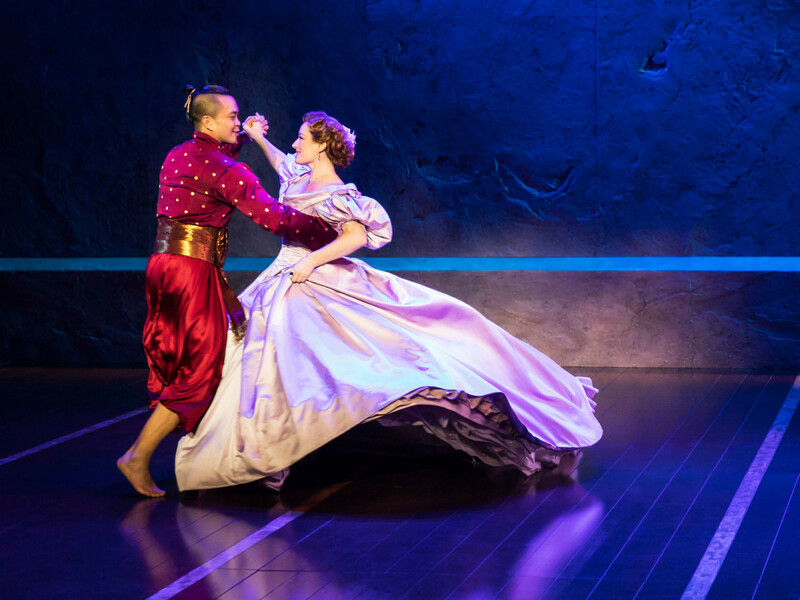 The recent Bartlett Sher directed revival of Rodgers and Hammerstein’s The King and I on Broadway and now touring, with Houston its only Texas stop, manages to succeed on both these levels. 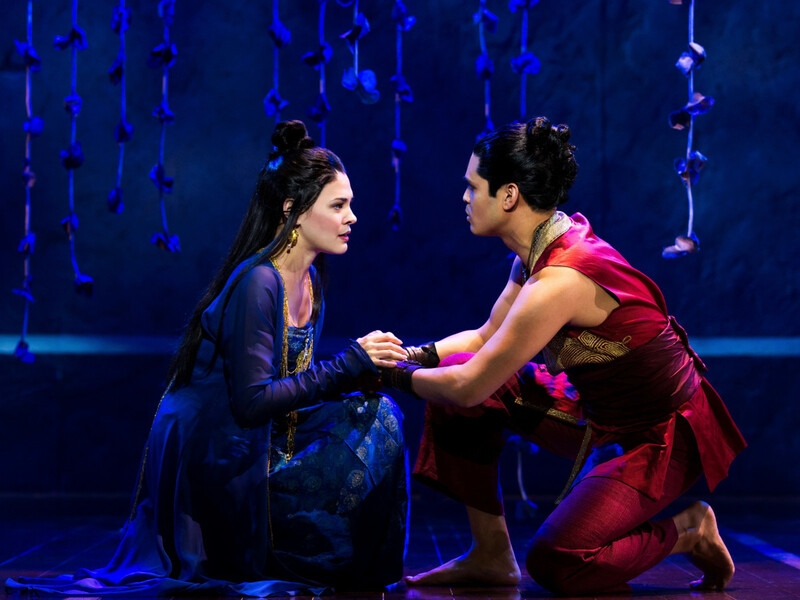 The King and I gifts audiences with much hum-along-nostalgia while also presenting intriguing questions about leadership and culture clashes that have become perhaps even more important in 2017 as they were in the mid-20th century. We already know the “Getting to Know You” story, of course. 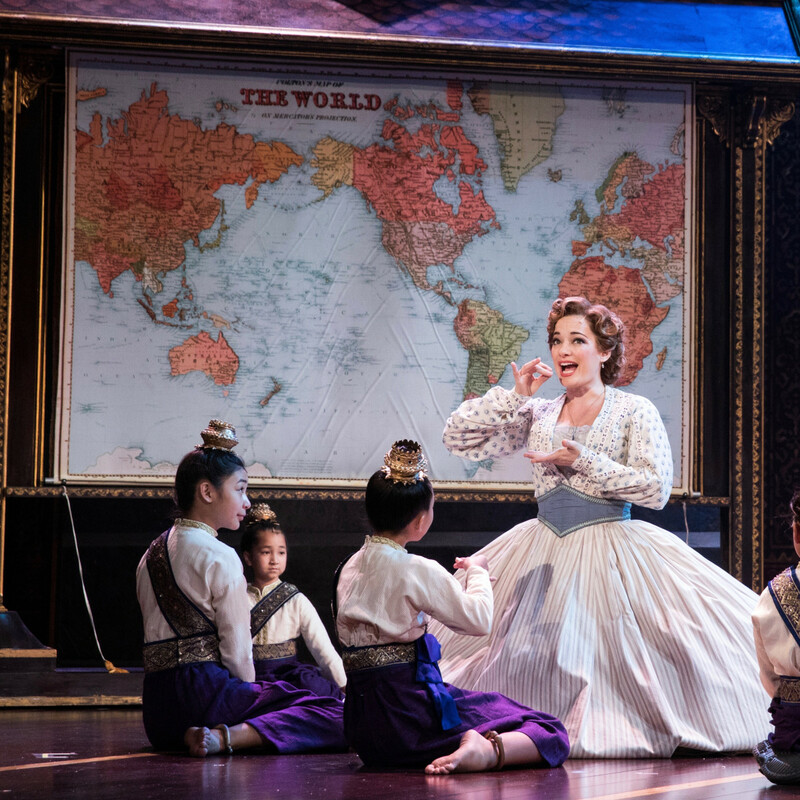 In a step towards modernization, the King of Siam (Jose Llana) hires a British teacher for his court to instruct his many, many children and wives on the science of the western world. In the age of Victoria and Lincoln, when Europe continued to divide up Africa and Asia for “civilizing” (irony quotation marks) and profit and America enacted bloody war with itself over the enslavement of human beings, Siam needs all the help it can get remaining independent. 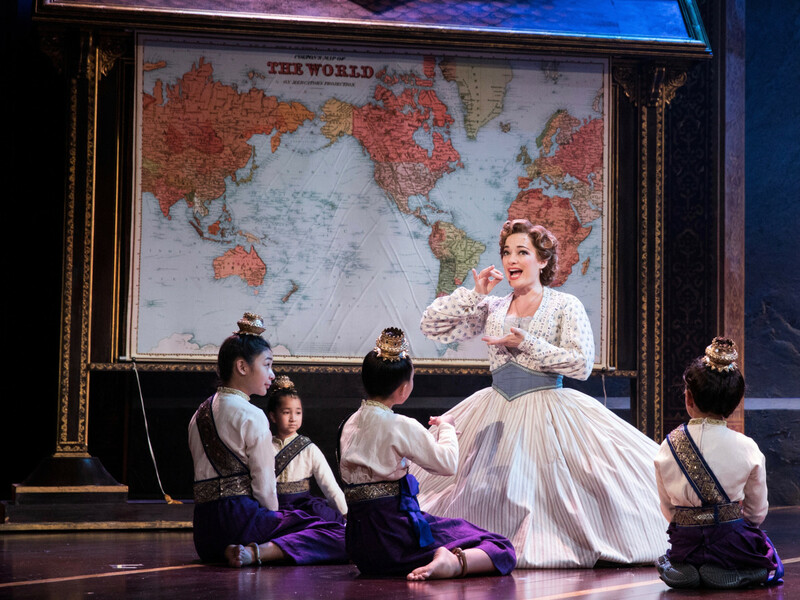 The show is mostly told through the eyes of the teacher Anna Leonowens (Laura Michelle Kelly), a Welsh-woman who has spent most of her life in British colonial Asia. 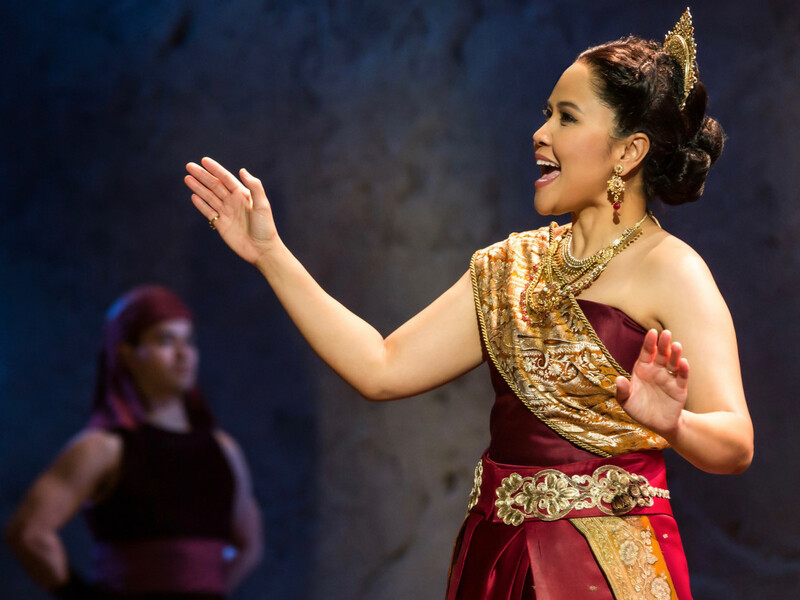 As a woman, widowed and alone in the world except for her young son, she lacks political agency, but by simply being born British, she does possess some personal autonomy that the other women of the court never have, including the King’s first wife Lady Thiang (played as both forceful and wise by Joan Almedilla). Kelly finely depicts Anna’s complex mindset and situation. She is at once a fearful stranger in a strange land putting on that brave whistling front–like in her first song “I Whistle a Happy Tune” — all the while certain in her belief that she has worth and the right to demand, even from a king, that promises to her be kept. Back when the musical first debuted in 1951, critics noted that Oscar Hammerstein’s book and lyrics gave the show no real villain. The King is arrogant, autocratic, misogynistic and a big ole drama-king, but portrayed by the right actor, and Llana is a right actor here, the King can be charming and occasionally kind. Llana’s solo rendition of the character-defining number “A Puzzlement” gives us a King facing his own inadequacies, at least in private, while driven to bring new knowledge to his court, not for love of self but for love of country. How Anna and the King, both suffering from their own unique prides and prejudices, navigate their relationship and learn from each other creates the core, thematic melody of the musical. Yet even in 1951, with pretty much an all-white cast playing Asian parts, there was a lot more going on in this show than a chaste, cross-cultural romance. 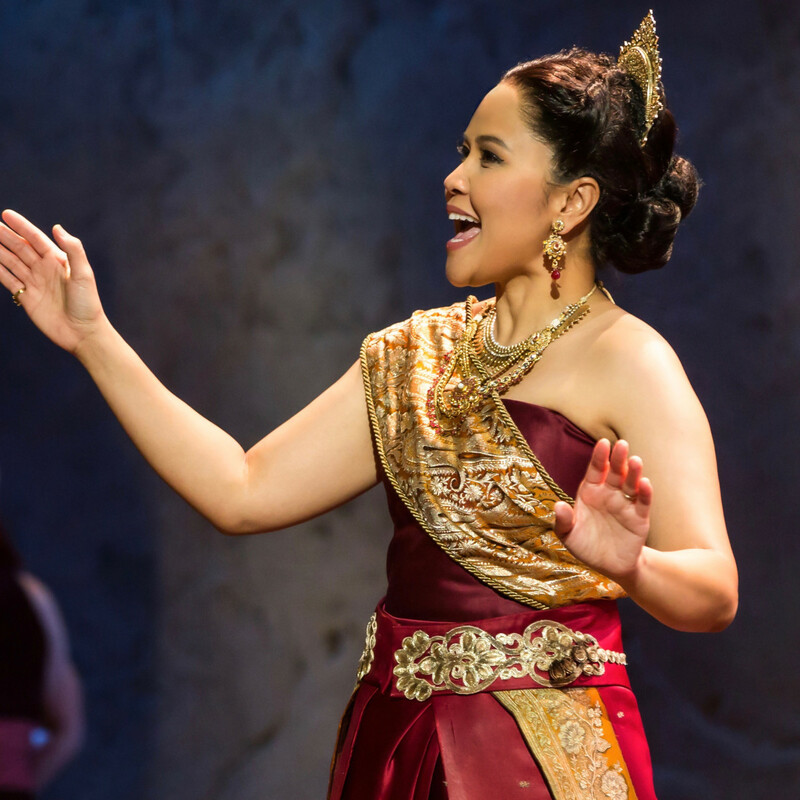 One major subplot gives the story real stakes, as Tuptim (Manna Nichols), a Burmese “gift” to the King strives for freedom of body and choice to love the man she chooses, Lun Tha (Kavin Panmeechac). In order to catch the conscious of the King, she adapts Uncle Tom’s Cabin as a narrated dance for the court and British guests. Choreographer Christopher Gattelli based his mesmerizing musical stagings on the original choreography by Jerome Robbins. 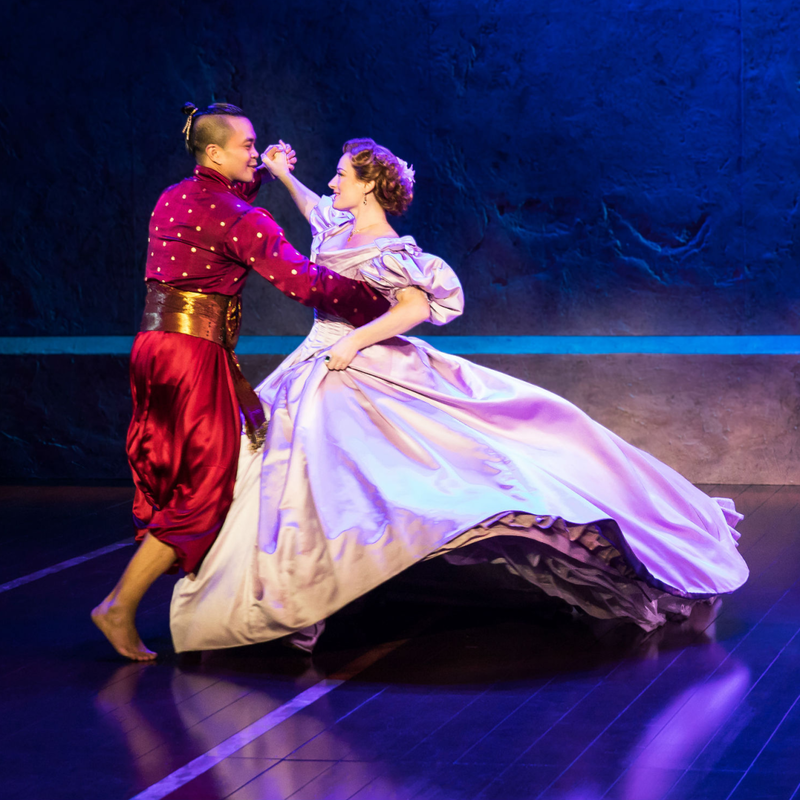 Director Sher, the ethnically diverse cast and creative crew create a King and I that confronts us with very pertinent issues of governing, love and freedom. And we as the audience bring our own evolving questions and experiences to our view of the performance. 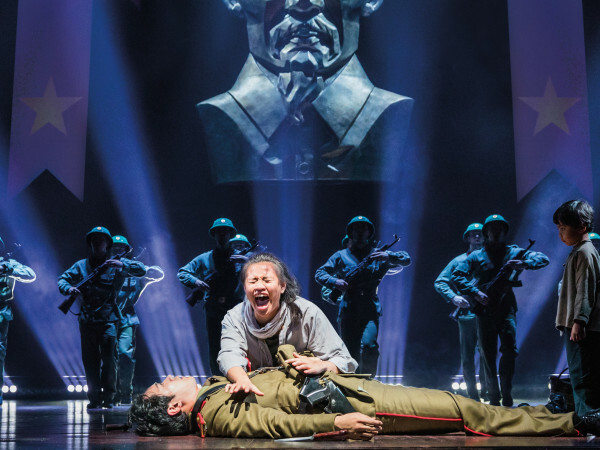 For instance, did the King’s line about wanting to build a fence around his whole country get such a huge astonished and ironic laugh from the audience in 1951 or even in 2015, when the show won the Tony for best revival, as it did on opening night at the Hobby Center? I’m guessing not. Then there’s Michael Yeargan’s rather austere set design. The opening image of Anna’s ship landing and then the bustle of the docks at her disembarking give a rich taste of a vibrant society in motion, but once Anna gets to the palace a huge stone wall along the length of the stage dwarfs much of the action and beauty before it, reminding us that walls can isolate and imprison as much as they keep others out. There’s much joy as we (quietly, please) sing along to “Getting to Know You” and the heartbreaking “We Kiss in a Shadow” and laugh every time the King chants “etc, etc, etc” but this is a King and I that has still has much to teach us about our own relative place in the world and leaves us with a small hope that perhaps cultures clashing can sometimes lead to beautiful music. 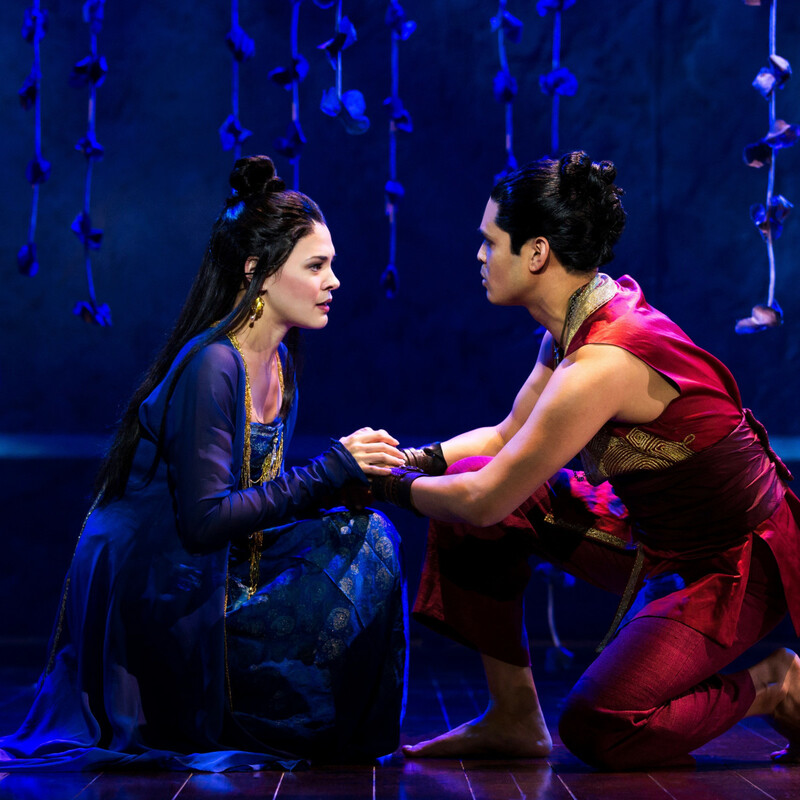 The King and I runs at the Hobby Center now until March 19.